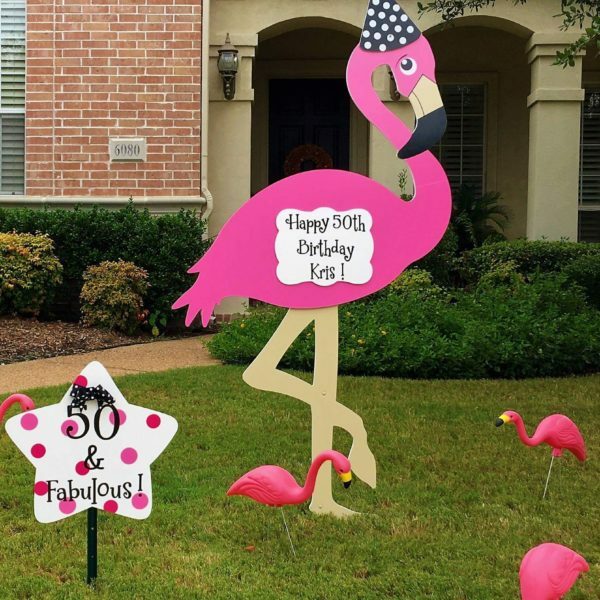 Flamingo birthdays are incomplete without our flamingo “Flock the Yard” Package! 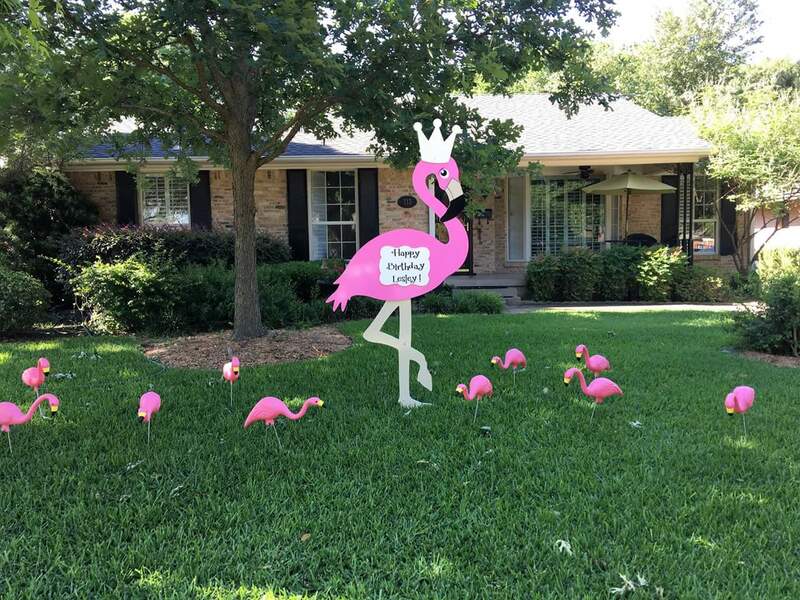 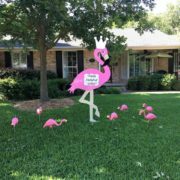 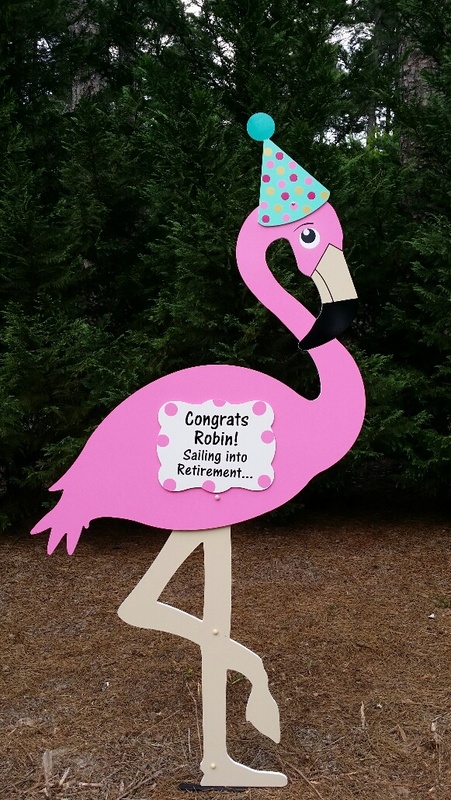 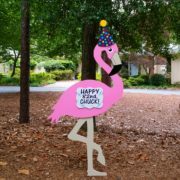 Rent our 7 foot flamingo sign and upgrade to a flamingo-flock package to create a festive lawn yard card display! 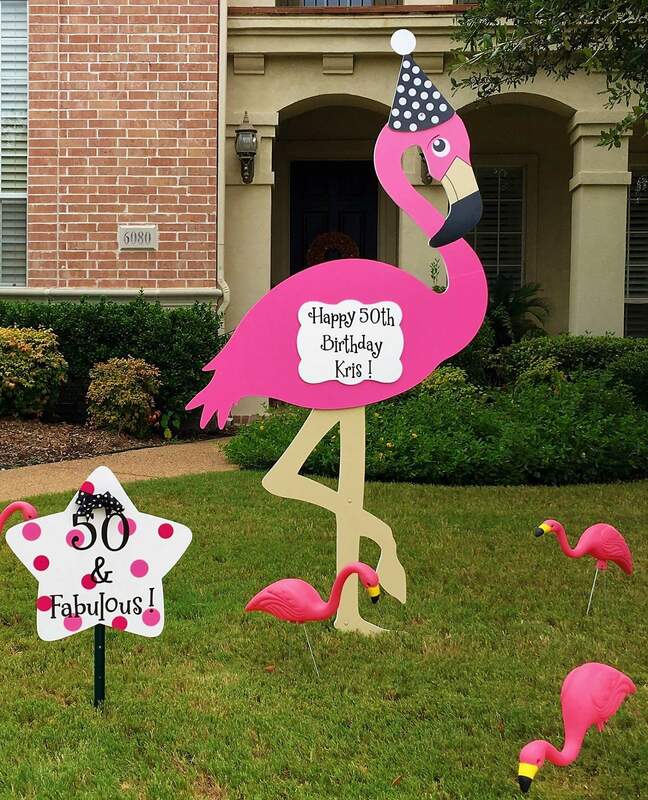 Add star signs for the recipient to keep with special messages like “50 & Fabulous!”. 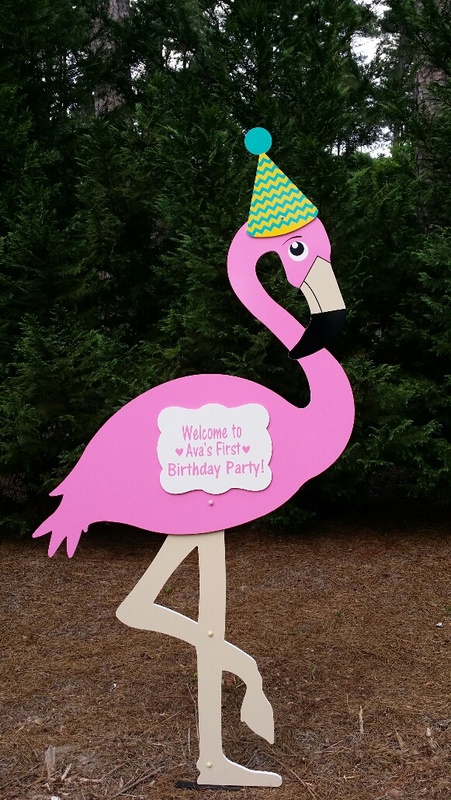 Reserve “Fancy” the flamingo, to help celebrate your next big occasion. 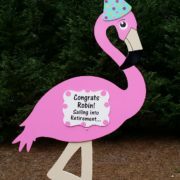 Choose from any of our party hat toppers or a graduation cap when reserving Fancy to help you celebrate. 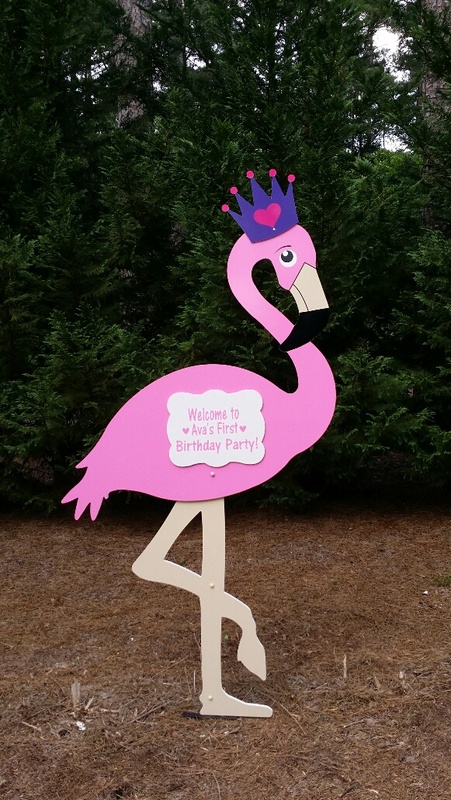 Sandhills Baby and Birthday Signs is located in Southern Pines, NC. 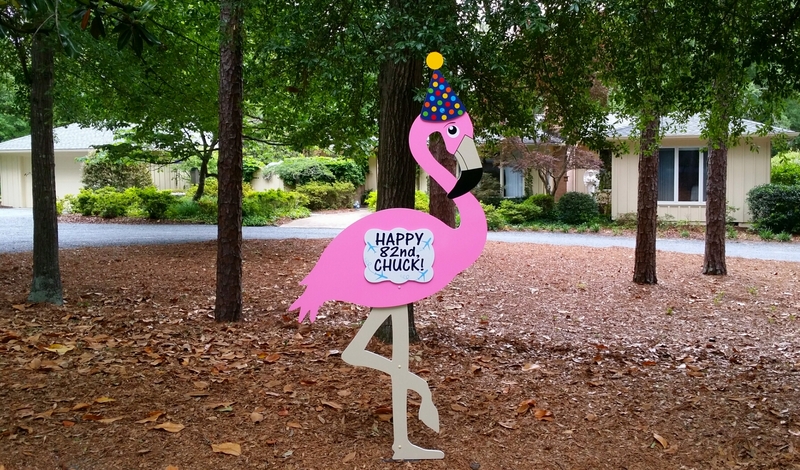 We proudly serve Fayetteville, Fort Bragg, Spring Lake, Hope Mills, Raeford, Grays Creek, Sanford, Wagram, Carthage, Aberdeen, Southern Pines, Pinehurst, Whispering Pines, Vass, West End, Seven Lakes, Cameron, Carthage, Robbins, Broadway, Siler City and surrounding locations. 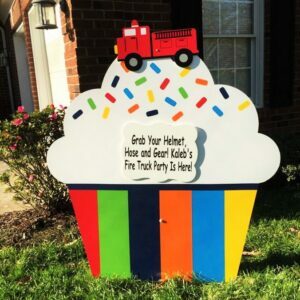 Delivery fees may apply. 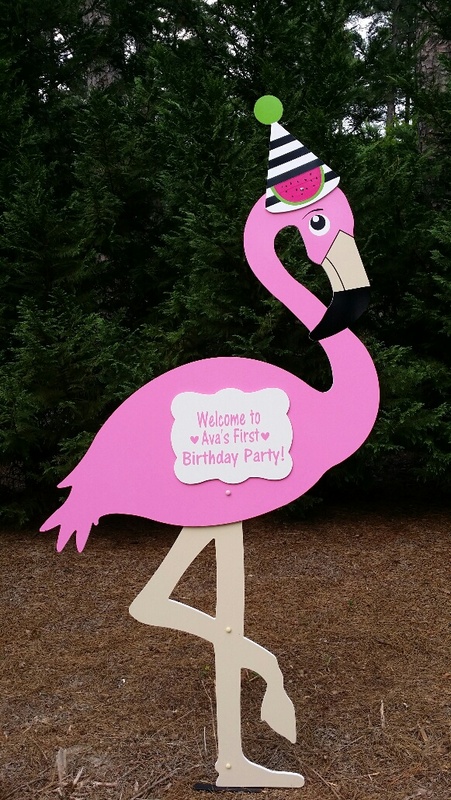 Tags: birthday boy, birthday girl, birthday party sign, birthday sign, birthday yard card, fayetteville flamingo, fayetteville nc, fayetteville nc birthday sign, fayetteville nc yard card, flamingo, flamingo party, flock the yard, hope millsf, kids birthday, lawn flamingo, lets flamingle, pink flamingo, pink flamingo birthday, pink flamingo party, pool party, retirement party, southern pines, southern pines flamingo, yard flamingo, you've been flocked. 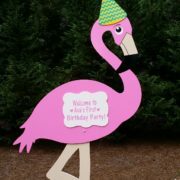 Flamingo birthdays and celebrations are incomplete without our flamingo “Flock the Yard” Package! 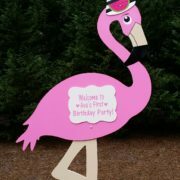 Rent our 7 foot flamingo sign and upgrade to a flamingo-flock package to create a festive lawn yard card display! 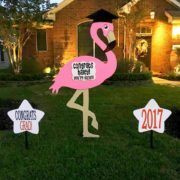 Choose from any of our party hat toppers or a graduation cap when reserving our flamingo rental to make her fit your special occasion! 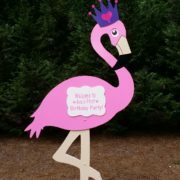 Sandhills Baby and Birthday Signs proudly serves Fayetteville, Fort Bragg, Spring Lake, Hope Mills, Raeford, Grays Creek, Sanford, Carthage, Aberdeen, Wagram, Southern Pines, Pinehurst, Whispering Pines, Vass, West End, Seven Lakes, Cameron, Carthage, Robbins, Broadway, Siler City and surrounding locations.